KIEV, Ukraine -- Ukraine wants to purchase three million cubic meters of gas from German's RWE energy firm per day to reduce its dependence on Russian gas supplies, Ukraine's Zerkalo Nedeli weekly newspaper reported on Sunday. "NaftogazUkraine plans to sign a short-term contract with Germany's RWE to deliver spot gas, bought in Europe, through Slovakian pipelines to Ukraine. The signing is likely to happen in the nearest future," the paper said. The paper also reported that Ukraine held talks with Turkey and Bulgaria to deliver liquefied natural gas from Turkish storage facilities through the Bulgarian gas transportation system. Russia and Ukraine have been embroiled in a drawn-out dispute over the price and volume of Russian gas purchased by Ukraine, for the last two years. Kiev insists the current price is too high, while Moscow is pushing for control of Ukraine’s system of gas transit to Europe, as part of a deal to cut prices. Last week Ukrainian Prime Minister Mykola Azarov said that Moscow had sent a new gas proposal to Kiev stipulating a 10 percent discount in the price of gas, which Ukraine was considering. Kiev imported over 1.8 billion cubic meters of Russian gas in January 2012, while in February it had to increase purchases to 3.1 billion cu m due to the severe cold. 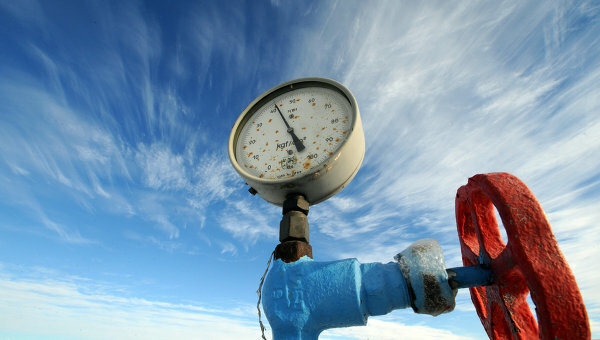 An annual average Russian gas price for Ukraine for this year stands at $416 per 1,000 cu m.